So, here’s the plan. I’m taking a second crack at it. Not using the old draft, it’s about the same amount of work to just start from scratch. I’ve got a whole new outline that just needs a bit more fleshing out before I can really get into it. And I’ve got a fundamental understanding of the characters that I didn’t have before. You see, where I tripped up last time was I made the mistake of giving every one of my characters the same goal. And the same problems. All of which were external to who they were. This isn’t necessarily a problem. 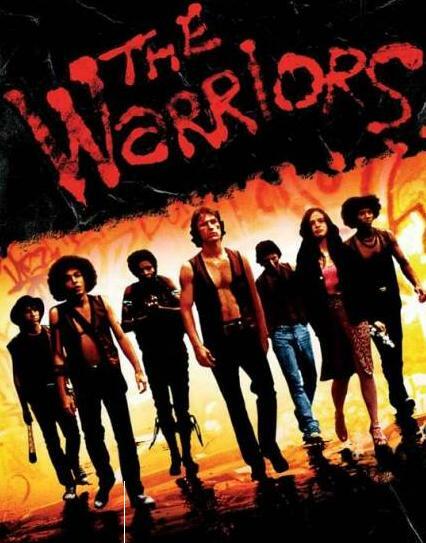 I like to refer back to one of my favourite films, The Warriors. Ultimately, every one of the main characters has the same goal; get back to Coney Island. And they face the same problems, most notably every other gang in the city being out to get them. But on closer inspection, this isn’t necessarily true. The muscle of the group, Ajax, has other motives. Sure, he wants to get back to their turf, but he also wants to find a one night stand along the way (which ends up costing him when he attempts to pick up an undercover cop), and he wants to make a power play against Swan to take over the gang, which puts him at odds with the others. Rembrandt is the scared kid of the group who wants to make it home above everything else, but Vermin and Cochise wind up wanting to hang out and party with the Lizzies (until they realise the Lizzies are a gang, and a very real threat). While the shared goal and obstacles exist, the characters all have their personality quirks that exist beyond it. It’s something I plan to focus on this time. While all the characters want to leave New York, and have common enemies in Joe November and the rest of the dangers found in post-apocalypse America, they now also have their own ideas of what they should do after leaving New York, which will also put them at odds with each other and bring out their internal conflicts, based on the personalities that emerged during my first attempt at this. There’s an old axiom that rewriting is not the same as writing, but I disagree. I think there are some worthwhile lessons to learn from trying something again and getting it right this time. As I go, I plan to make updates on my progress both on here and on my Twitter, as well as starting some work on what should eventually become my NaNoWriMo project for this year. This entry was posted in Writing and tagged novel, Post-Apocalipstick, the warriors, write, Writing by Chris. Bookmark the permalink.